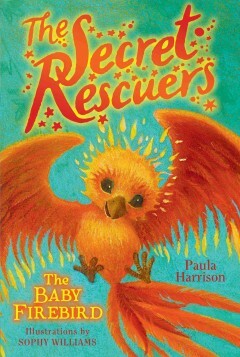 Annotation: Forging a best friendship with a baby firebird whose flock shares her home in the tropical rainforest, Talia teams up with her friend Lucas to protect the flock and save their home from a plot by the evil Sir Fitzroy. Simultaneous and eBook. - Phoenix (Mythical bird); Juvenile fiction. - Rain forest animals; Juvenile fiction. The series of simple, formulaic fantasy adventures about children who use "Speaking Stones" to talk to magical creatures continues with this third installment. In the Kingdom of Arramia, young potter Talia uses her new powers to save a flock of firebirds from the evil Lord Fortescue. Muddy grayscale illustrations place the trite story in a generic jungle setting. Copyright 2018 Horn Book Guide Reviews.